LOUD SHADOWS | LIQUID EVENTS is a collage made by artists coming from different backgrounds: dance, music, architecture. 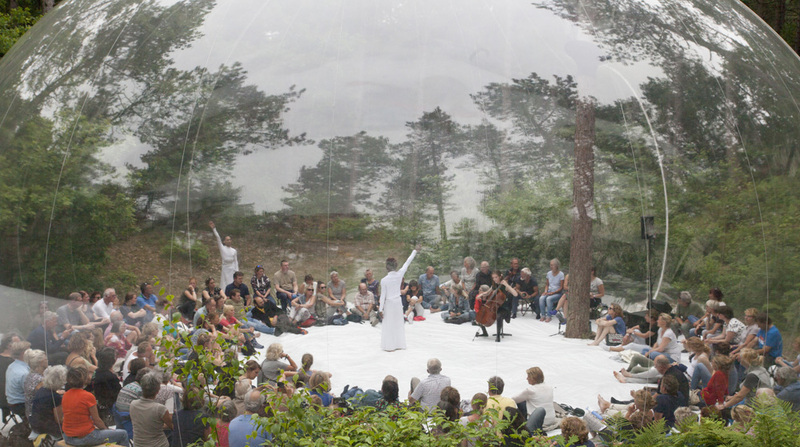 The team has been assembled as an experiment by Kees Lesuis — artistic director of the OEROL Festival — in order to give birth to a unique performance on the occasion of the 2017 edition of the festival. 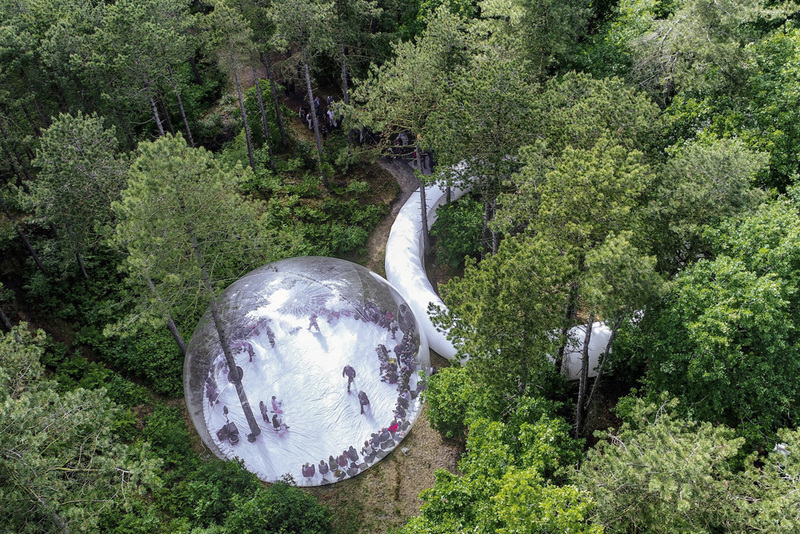 The temporary space of Plastique Fantastique is monumental, yet mobile, soft and transparent. Its ephemeral skin influences the surroundings as much as its inner space offers a lucid view outwards. 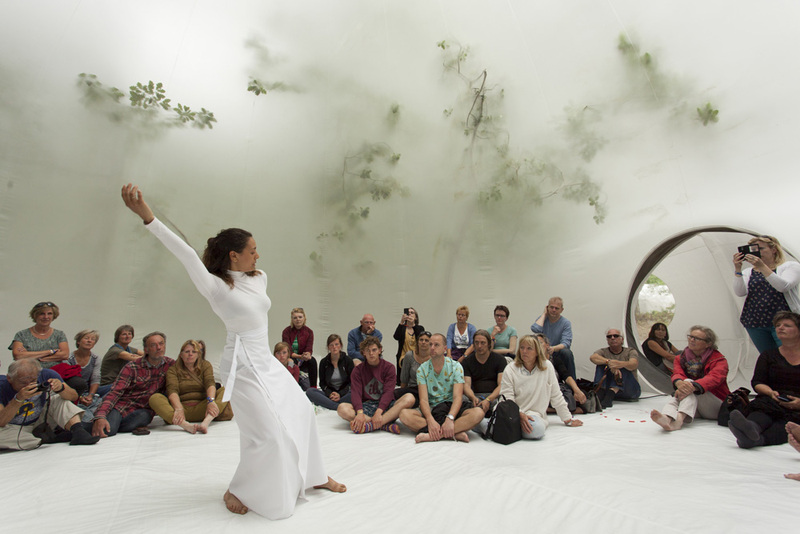 It is a magical place to merge dance, music and nature, challenging our perception. 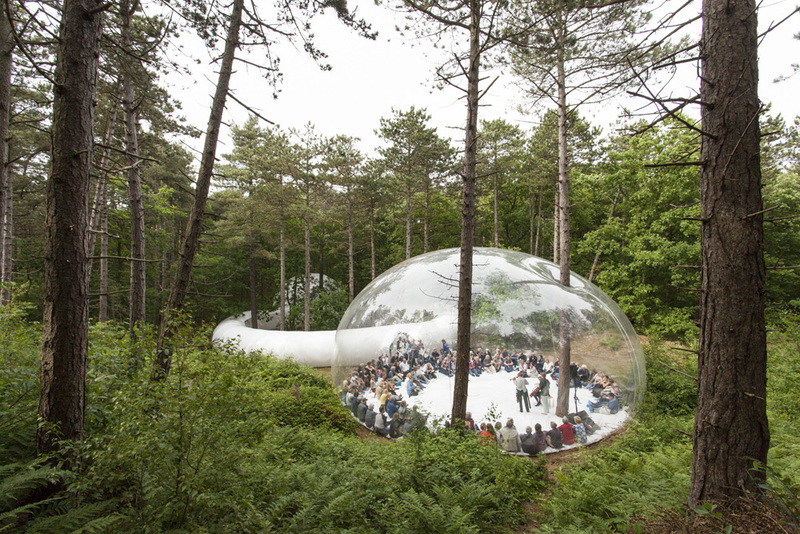 The architecture of LOUD SHADOWS | LIQUID EVENTS offers four different stages and it is designed considering the peculiar position of every single tree of the area located within the Formerum forest, on the island of Terschelling. 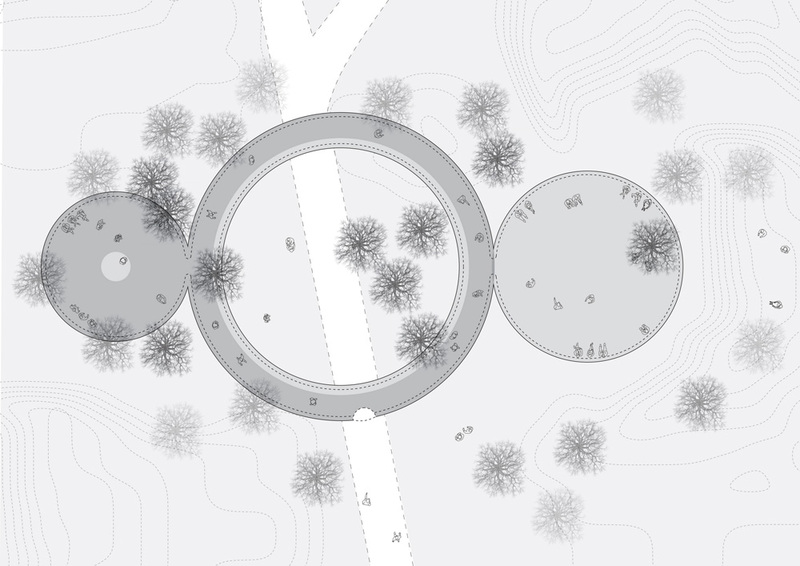 Each element of this site specific project is integrated into its environment: the first transparent spherical stage is pierced by a tree, while the second stage (the milky translucent one) is squeezed between tree branches and comes under the projection of their shadows. The ring connecting the two stages loops around pine and oak trees creating the third stage in its void. 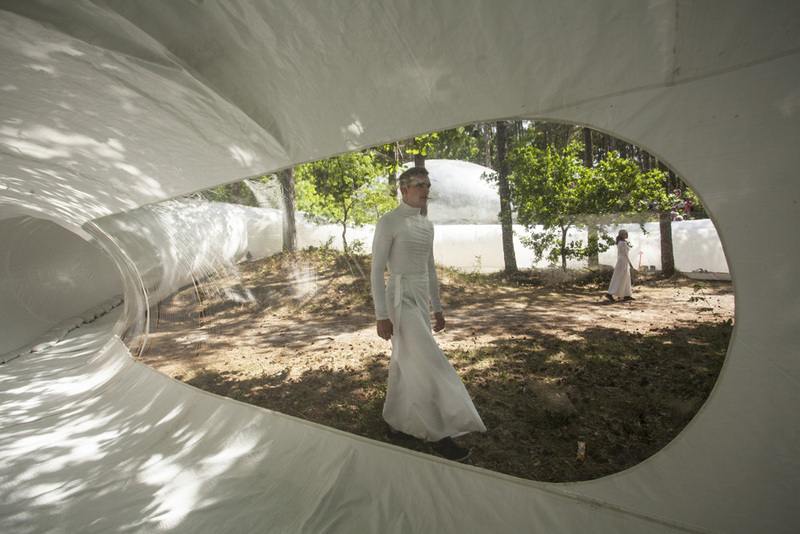 The fourth stage is the forest around the installation. 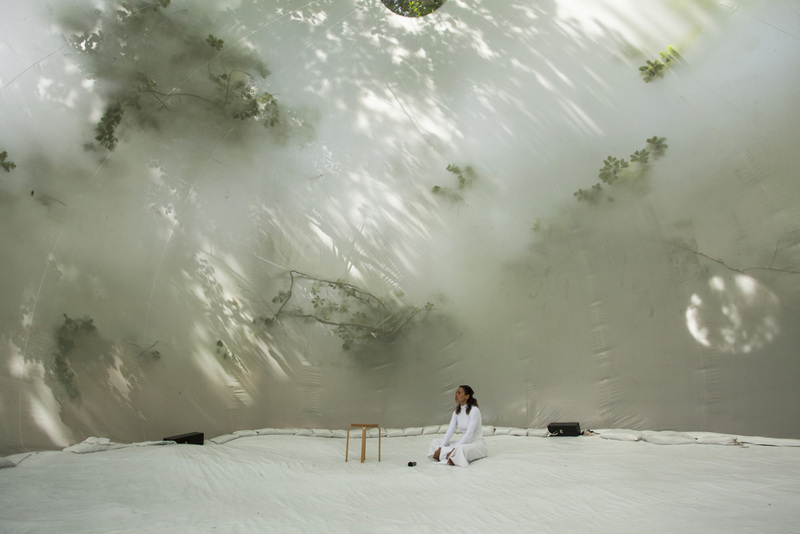 Inside this constellation the audience is free to circulate and choose its place in the transparent stage, the milky sphere, the inner circle, or the surrounding woods. These movements are encouraged by the musicians (The Stolz) and dancers (LeineRoebana), which are playing and performing simultaneously through the different stages. 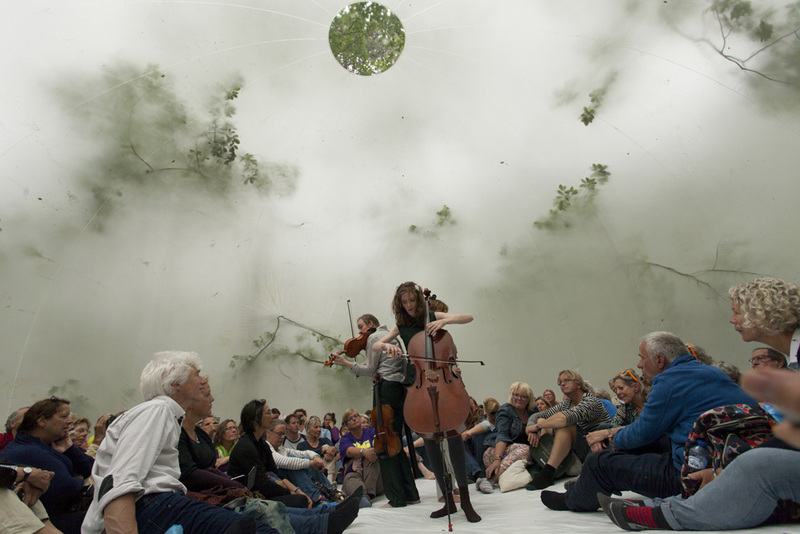 Even the composition (Kate Moore) is affected by unpredictable natural elements like birds singing, leaves rustling, wind gusts or rain drops – thus making each performance unique. LOUD SHADOWS | LIQUID EVENTS is a joint project of Kate Moore, The Stolz, LeineRoebana and Plastique Fantastique.